How to watch Columbus (2017) on Netflix Germany! Sorry, Columbus is not available on German Netflix, but you can unlock it right now in Germany and start watching! With a few simple steps you can change your Netflix region to a country like Canada and start watching Canadian Netflix, which includes Columbus. We'll keep checking Netflix Germany for Columbus, and this page will be updated with any changes. Columbus is not available in Germany BUT it can be unlocked and viewed! When his architect father falls into a coma, Jin travels from Korea to Columbus, Indiana, where he and a young woman share an unexpected connection. Caring not enough. Caring too much. Caring for others. Caring for yourself. Life can pull in all kinds of directions. There is a way to watch Columbus in Germany, even though it isn't currently available on Netflix locally. What you need is a system that lets you change your Netflix country. 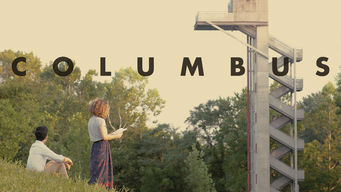 With a few simple steps you can be watching Columbus and thousands of other titles!